Great Britain and Ireland won the Jacques Léglise Trophy after beating the Continent of Europe 15½-9½ at Kytäjä Golf in Finland. Leading their opponents 7½-4½ at the start of play on the second day, the morning foursomes were tied 2-2 to preserve GB&I’s three-point advantage at 9½-6½ going into the final afternoon’s singles matches. Stuart Wilson’s side then picked up six of the nine available points to seal their first win in the boys international match since 2014. The visitors strengthened their grip on the contest when Max Hopkins delivered an emphatic 6&4 victory over Saku Tuusa, and was followed shortly after by 2018 Boys Amateur champion Conor Gough, who beat Loic Ettlin 2&1 to move GB&I closer to the winning post. Mark Power fought back from two holes down with three to play against Adam Wallin of Sweden to secure a vital halve, and the overall victory was confirmed in the fourth singles match, when Robin Williams sunk the winning putt on the 17th to claim a 2&1 win over Kiet van der Weele and put GB&I into an unassailable 13-7 lead. Barclay Brown then rolled in two birdies in a row on the 17th and 18th to seal a win by two holes over Daniel Da Costa Rodrigues and extend GB&I’s lead to seven points. David Puig and Eemil Alajarvi pulled two points back for the Continent of Europe with wins against Archie Davies (4&3) and Connor McKinney (2 holes) but Joe Pagdin returned another point for GB&I after posting six birdies on his way to an excellent 4&3 result against Eduard Rousand Sabate. The final match out on the course between Tom McKibbin and Jerry Ji was halved to give GB&I a 15½-9½ winning scoreline. 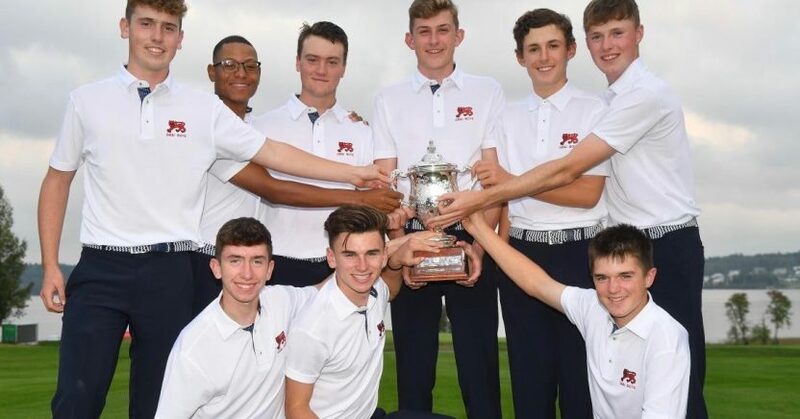 The victory marks the 29th time that GB&I has won the Jacques Léglise Trophy since the boys international match between the two teams was rejuvenated in 1977. The Continent of Europe has won 12 times, with one match tied at Royal Dornoch in 2015.